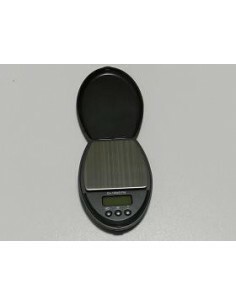 Digital Pocket Scale, four weighing modes, stainless steel platform, transparent lid that can be used in tray backlight. Capacity of 500 grams. and precision of 0.1 gr. Batteries included. 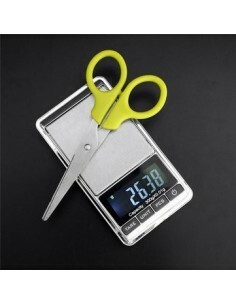 Digital Pocket Scale, four weighing modes, stainless steel platform, transparent lid that can be used in tray backlight. Capacity of 100 grams. and precision of 0.01 gr. Batteries included. 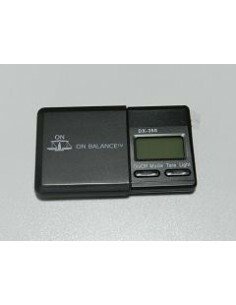 Very functional balance in compact format.Easy to use thanks to its large buttons.The protective cover of the balance can also be used as a weighing pan.Capacity of 350 grams. and precision of 0.1 gr.Batteries included. 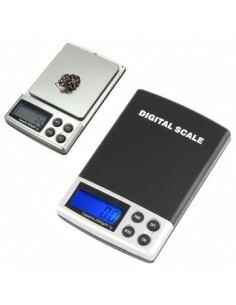 Digital Pocket Scale, four weighing modes, stainless steel platform, you can use top tray, backlight. Capacity of 600 grams. and precision of 0.1 gr. Batteries included. 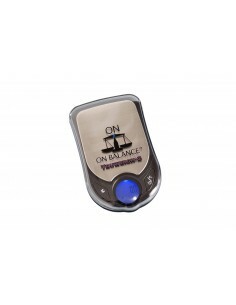 Balance functional. Easy to use thanks to its large buttons. Capacity of 100 grams. and precision of 0.01 gr. Batteries included. 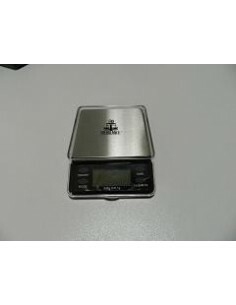 Digital Pocket Scale, four weighing modes, stainless steel platform, you can use top tray, backlight. Capacity of 100 grams. and precision of 0.01 gr. Batteries included. 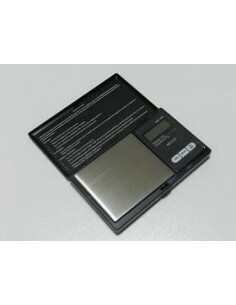 Digital Pocket Scale, four weighing modes, stainless steel platform, transparent lid that can be used in tray backlight. Capacity of 200 grams. and precision of 0.01 gr. Batteries included. This scale disguised as pop can can carry around with total discretion. 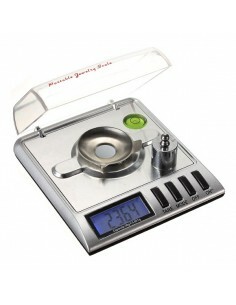 Bring a grinder or chopper marie gift inside.It has a capacity of 500 grams. and an accuracy of 0.1 grams.Batteries included.